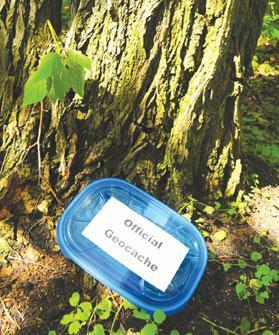 Geocaching helps you make the most of your short holiday, says Hannah Wayte. Short holidays are a great way to break away from the daily routine, feast your eyes on new sights, take in the smells and sounds of foreign lands and ultimately return to the daily grind with fresh vigour. At least, that’s the idea – the reality can be somewhat different. After struggling to navigate an unfamiliar transport system and wading your way through guide books or maps in an effort to cram in as much sightseeing as humanly possible, you may actually find yourself in need of a week’s recovery time. Guided tours can ease some of the pressure but they come at a cost and can often make you feel like you’ve stumbled into a cattle drive. Thankfully, there’s a way to see the sights independently with as little stress as possible. Geocaching is a relatively new hobby which can help you make the most of your short break and even take you off the beaten track if tourist traps are not your thing. Described as a real-world, outdoor treasure hunting game using GPS-enabled devices, it is a fun way to discover a new location or even rediscover your usual stomping ground. Playing the game is easy. All you need is an internet connection and a GPS-enabled device, such as a smartphone. Once you have registered on www.geocaching.com (registration is free, although a premium option is available), you can search for a cache in the area of your choice and input its coordinates into your GPS device for a rough location. Searching for the cache is a delicate business. Non-geocachers are known as “muggles” and it is important that all finds are made without them noticing. Every cache contains a logbook, which has to be signed before the cache is returned to its hiding spot. Some caches also contain an object which can be taken, provided it is replaced with another. The final step is to log your find on the official website. Traditional caches are, as experienced geocacher Stuart Woolley calls them, “like camouflaged sandwich boxes with no sandwiches inside”. Others can be as small as a bolt (nano-caches) or the size of a bucket. There are over two million caches hidden worldwide, usually in important locations, places of special interest or scenic viewpoints. This means there is an incredibly strong likelihood that there will be some stashed in the area where you have chosen to take your short holiday. Sarah and Stuart Woolley are a couple who decided to take their love of geocaching on holiday, and use it as a means to see as much as possible of a location in a short period of time. The holiday in question was a cruise around the Mediterranean, stopping in 11 different ports along the way, usually for no more than 12 hours at a time. They planned their geocaching adventures in advance and downloaded each cache’s coordinates before the trip began. This gave them an easy way of visiting the main points of interest in each location without having to join an excursion. Gibraltar was an ideal location for geocaching as it is a small place, easy to get around and with many sights worth visiting. Hunting for caches took the couple off the beaten track on more than one occasion. In some places in Italy they were able to see older parts of the town which would not normally be on a tourist’s map. As photographers, it provided them with the perfect opportunity to capture shots of beautiful areas only the locals would normally know about. Stuart’s favourite geocaching moment was on a trip to the Côte d’Azur, where their search took them past a military base to a bastion surrounding a fort. After scrambling through a tunnel to get in, they found the cache under a bridge in the old moat. Some caches require a little more caution. When searching for one in the Mdina area, they were chased off by a stray dog that wasn’t impressed by their attempts to bring in their prize, precariously located at the edge of a sheer drop. There are more complex ways of geocaching. Multi-caches, for instance, involve more than one location and the final place is where the physical container will be found. After starting off at the designated coordinates, you may be led to the cache by a series of clues. Trackables are small items kept in caches which are etched with a unique code. This code is then used to log the item’s movements on www.geocaching.com. Stuart currently has a trackable which has travelled 6,500 miles. Part of the fun of geocaching is setting up your own caches for others to find, whether at home or when you are on holiday. Caches can be bought online but any secure container will do. Once it is hidden safely – remember, don’t let the muggles see it – the cache should be logged online with its coordinates. With over six million geocachers worldwide, the community is extensive and expanding all the time. Whether you want to see a lesser-known side of a city you have travelled to, hit all the hotspots quickly on your own, or if you just want to be a big kid and go on a treasure hunt, geocaching is a fun activity available to everyone, everywhere.